Beginning April 28, the Triad’s monthly meetings will be held at the same location: the Bay Transit Building in the Warsaw Commerce Park (where Route 3 intersects with Main Street, across Rte. 3 from the YMCA). The meetings will no longer rotate among various Richmond County churches, as they have since the Triad’s founding. “You won’t have to remember where the next meeting will be,” says Triad Chair Mollie Lovejoy. Same time: 9:30 a.m. on the fourth Tuesday each month. 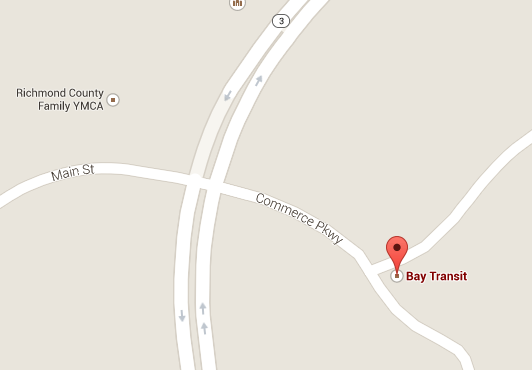 Same place: Bay Transit building in Commerce Park.